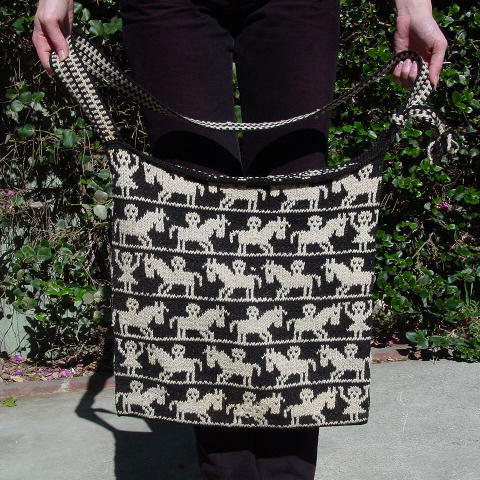 This black background vintage woven tote has designs in antique white. It has a tight weave pattern and a 37" long (plus a 5" extension from the knot) by 1 5/8" wide woven shoulder strap. 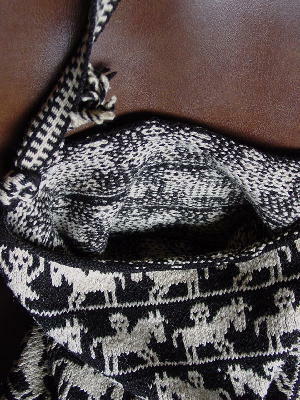 There are six horizontal pattern rows of freeform horses and people. She used it for 2 seasons slung across her body to carry her portfolio.